you may of seen a a couple of weeks ago I did a little nail of the day post featuring Barry M's Molten Metal polish , it was very well received so thought I would share another Autumn favourite nail polish from good old Barry M, Barry M has to be my favourite brand when it comes to nail polish, they are constantly adding to the range with new colours and finishes and I personally love them. 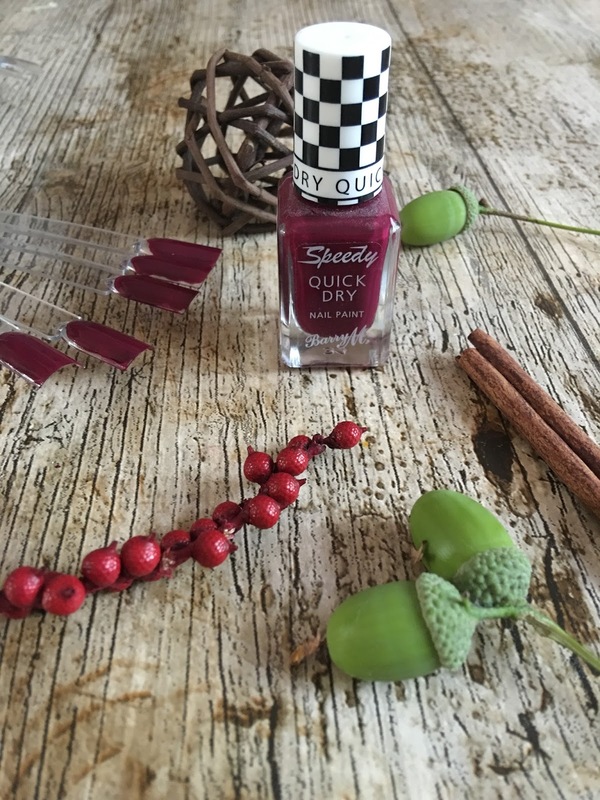 Sprint Finish is a total "Winner" for me as its just the perfect wine/berry shade for this time of the year and looks great on the whole hand or as an accent nail, and being the speedy quick dry formulation dries super quick great for girls like me with 0 patience! I can't wait to add some more Autumn nail shades to my collection this year and currently Barry M polishes are on offer on Superdrug so I'm off to place a cheeky order ! What are your favourite nail shades for Autumn? I have this shade somewhere in my collection, need to dig it out - forgot how gorgeous it is!